Wilfred Lemuel Johnson, after completing Phoenix Technical High School, joined the Army. In 1959, upon being discharged , he returned to Phoenix and spent a lot of time hanging out in East Lake Park. This park was a popular location for the local community. 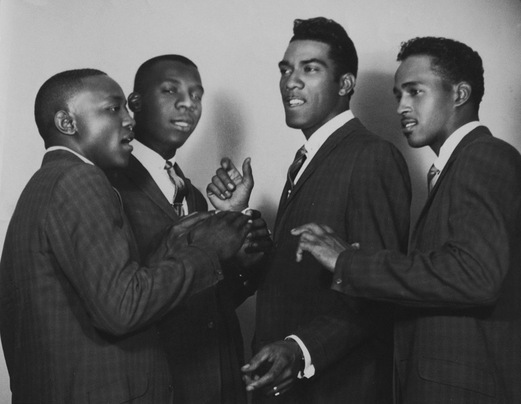 Wilfred often watched young vocal groups practice onstage and one evening he saw a group that he felt he could give some pointer to. The group then asked Wilfred to join as a tenor. The group consisted of Warren Tolliver , Wilfred Johnson , Homer Gray and William "Billy" Walker . All were former servicemen. 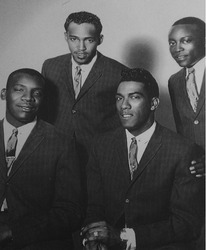 The group was soon booked for local shows, performed at the Elks and Zanzibar nightclubs and the VFW in South Phoenix. In 1962, Jim Musil, a 22-year-old budding Phoenix music producer and promoter, liked the Versatiles enough to sign them to a one year contract as their producer. He believed that two ballad written by Tony Bacak (a local area songwriter), "Just Pretending" and "Blue Feelin" would be perfect for the Versatiles. A recording session was scheduled at Floyd Ramsey's audio recorders for December 10th, 1962. The two songs were then released on Ramco 3717. The Versatiles made appearances at the local area clubs. In 1964, after many performance, the Versatiles decided to take a break from the local music scene. In 1966, The versatile changed their name to the Four Dimensions and cut "What Are They Doing Now" and "You Gotta Have Soul" on Ramco 1980. William "Billy" Walker dropping out of the group when his job moved to California, The Four Dimensions soon Broke up.